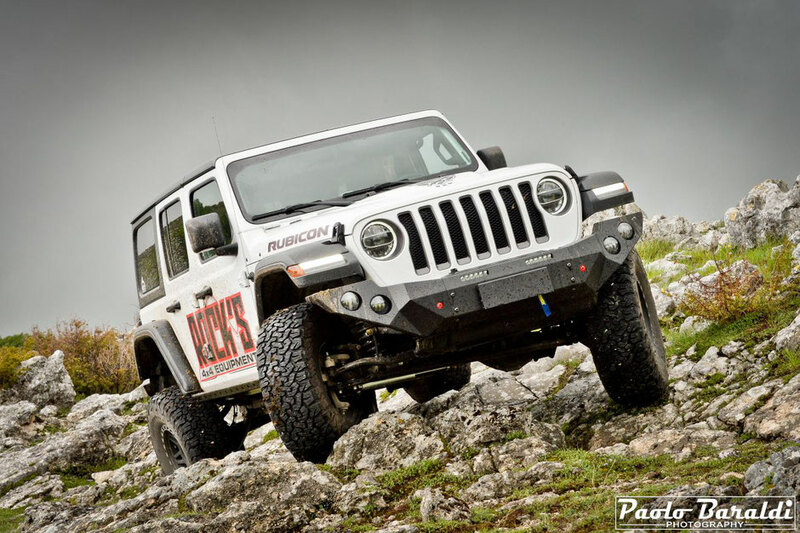 The Wrangler JL in Italy, and Europe, will arrive in September but, thanks to Rocks' 4x4, we can present the first JL completely modified in Europe. Everyone is waiting for the new JL, but in Europe it is not yet on sale, because the official arrival of the new Wrangler is scheduled for September. The only one in Italy at the moment is the Rock's 4x4 JL. 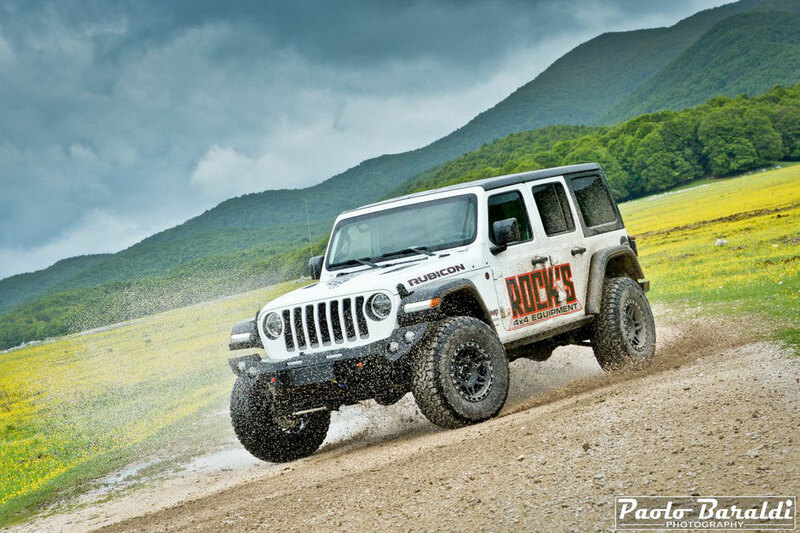 Rock's is specialized in the production of accessories for Jeep, which of course immediately set it up with some dedicated accessories, made in record time. And, thanks to the availability of the owner Fabrizio Venturini, we have analyzed and tested it in preview. This is an Unlimited Rubicon powered by the 3.6 V6 Pentastar. At the first glance, only the most experienced will notice the differences with the JK. In reality, with the previous model in practice only shares the "J" of the name and the cap of the fuel filler. Despite the aesthetic similarity, the JL is in all respects another machine than the JK. 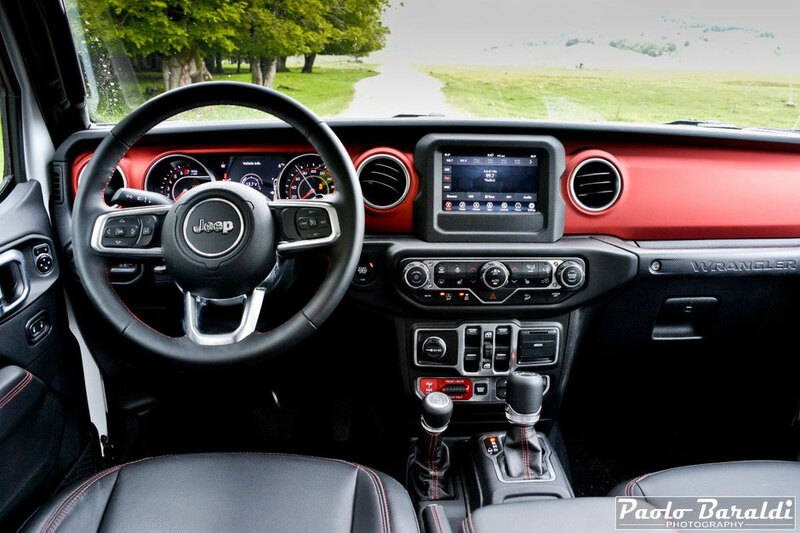 The excellent work done in Jeep by the five design engineers, all passionate offroad, has allowed to eliminate the main defects of the previous JK and to refine all the aspects that did not like. 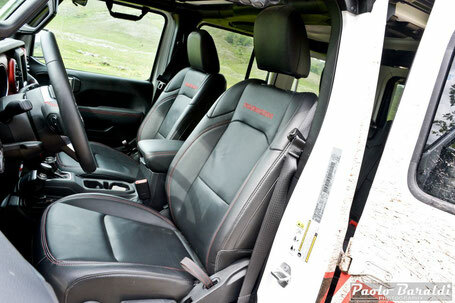 The result is the best offroad vehicle available today on the market. The frame, all new, is similar to that of the JK in the front and completely different in the rear, where it narrows to allow the new placement of the shock absorbers, now fixed outside, a position that makes them work much better. 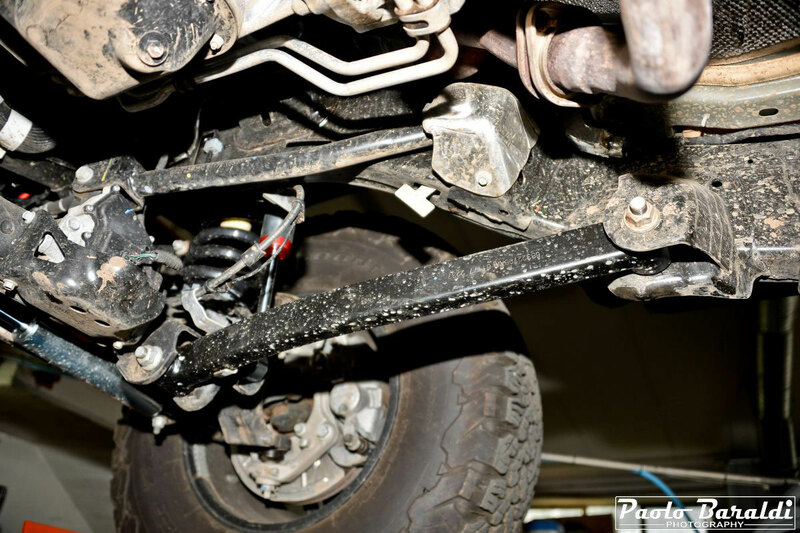 The suspension pattern has remained unchanged but has been refined both for road use and offroad, in fact they boast a greater excursion, and the shock absorbers have been recalibrated. The axles are always Dana, with differentials manually locked on the Rubicon, but they are newly designed, more robust and wider than on the JK. 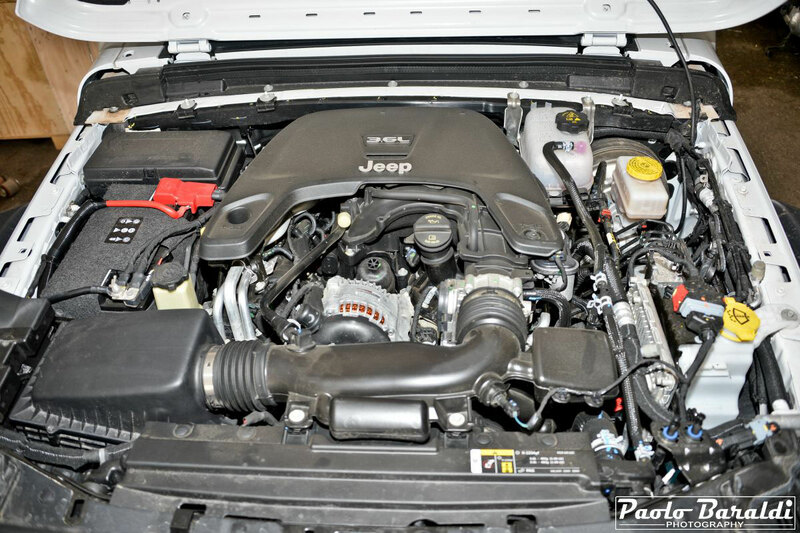 Under the hood of the JL at the moment are mounted two engines, both petrol: a new 4-cylinder 2.0-liter turbo 270 hp with mild hybrid technology and the 3.6 V6, inherited from JK, capable of 285 hp, however characterized from a decidedly improved delivery (the latter, unfortunately, in Europe will not be commercialized). The diesel engine for the European market is the 2.2 HP 200 HP (and 450 Nm) that already manufactures the Cherokee and Alfa Romeo Giulia. Maybe, but it's all to see, next year will come the 3.0 V6 diesel engine VM that already equips the Grand Cherokee WK2 and the Dodge Ram 1500, which develops 260 hp and a torque of as much as 600 Nm. 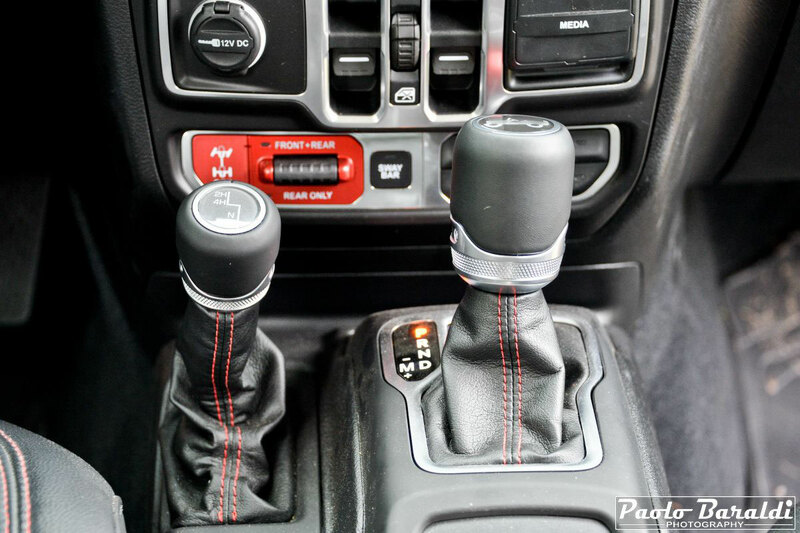 you can choose between a new 6-speed Aisin manual transmission and an 8-speed ZF automatic. 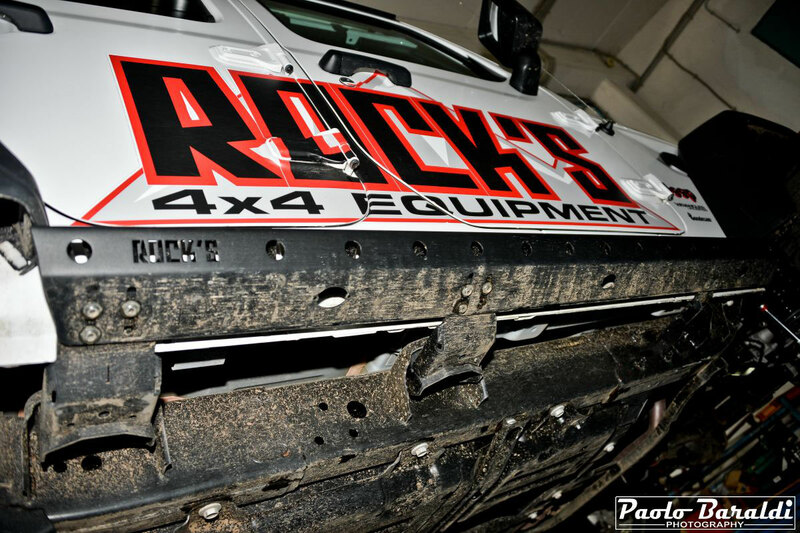 As we said, the Rock's 4x4 did not waste time making the first functional changes, which as always have also improved the aesthetics of the vehicle. Each component was created from scratch, because no JK accessory matches the JL. Thus we find the front and rear Stealth steel bumpers, much nicer and above all more suitable for offroad use, a 9500 electric winch, 2.5 " suspension kit (about 6 cm) and 35" tires, which have taken the place of the original 33" tires without any modification thanks to the higher position of the Rubicon fender. On the road, and in terms of daily usability, JL is clearly superior to JK in all aspects. The 3.6 engine, while have the same horses as before, looks like another: the new mapping and the combination with the new 8-speed automatic transmission make it much more ready and performing. It seems to have 100 extra hp! 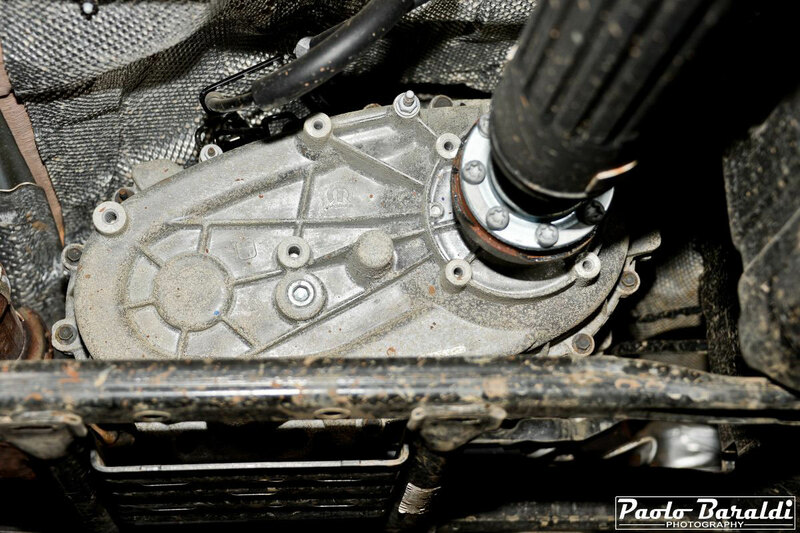 The gearbox in fact keeps the V6 always in full torque, and is also appreciated for the speed and sweetness of operation. As a result, in acceleration and recovery the JL is definitely faster than JK. The stability and roadholding are greatly increased, even in wet conditions at high speeds, thanks to the new suspension geometry but also to the standard setting of a stiffer wire. 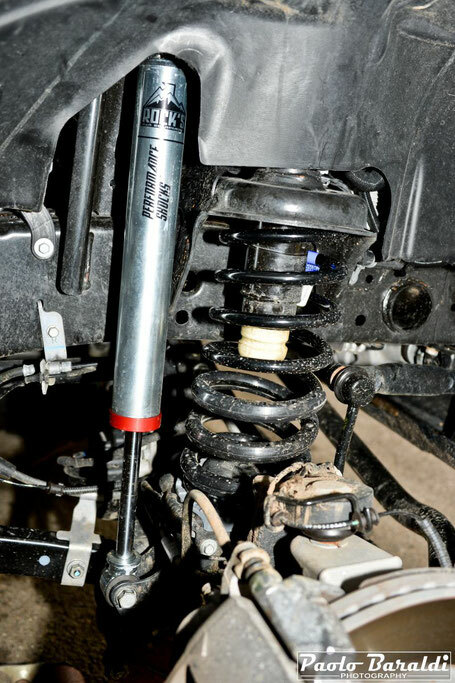 The new combination of springs and shock absorbers installed by Rock's has further improved the ability to absorb the roughness of the bottom, even at high speeds on heavily bumpy dirt, and to keep the car very stable, without compromising ride comfort, which remains high. Compared to the JK overall comfort has improved a lot, except for one aspect: in the face of a very silent mechanics, the aerodynamic frictions are always evident, and from 130 km/h onwards they start to annoy. 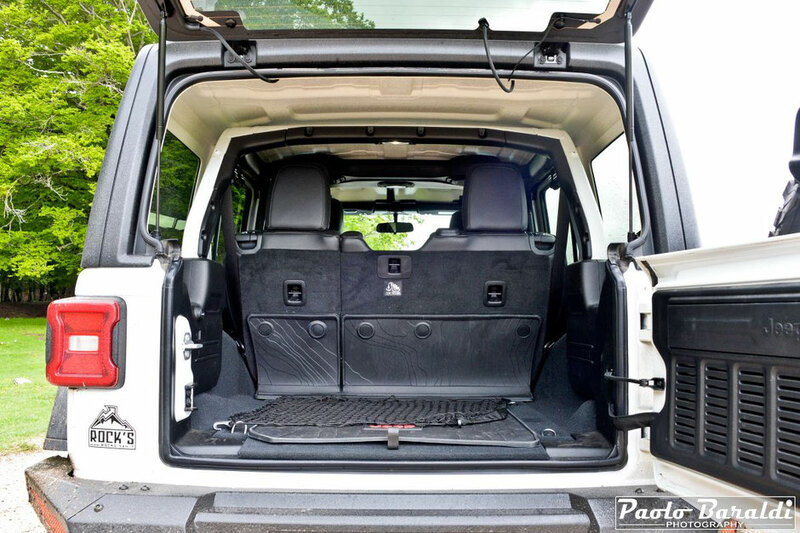 The Rock's 4x4, moreover, has promptly intervened in some areas of the front part of the passenger compartment bringing the noise to acceptable levels. The steering is more direct and the car is more precise than JK. To make you understand, on a scale of 1 to 10 the JL stands at 10, while the JK stands at 7 (and drops to 5 on the wet asphalt). 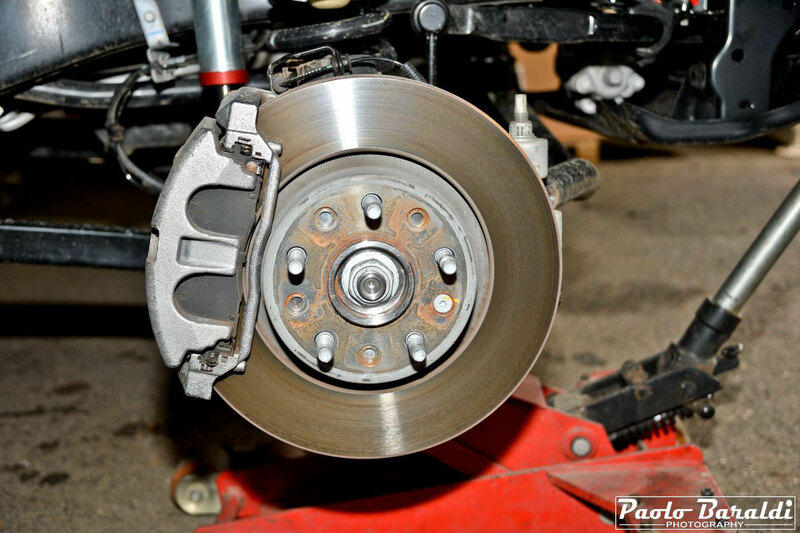 Braking has been improved by adopting larger discs and larger, double-piston calipers, so that both efficiency and stopping spaces have improved a lot, now optimal. Consumption, however, remained almost unchanged compared to JK. 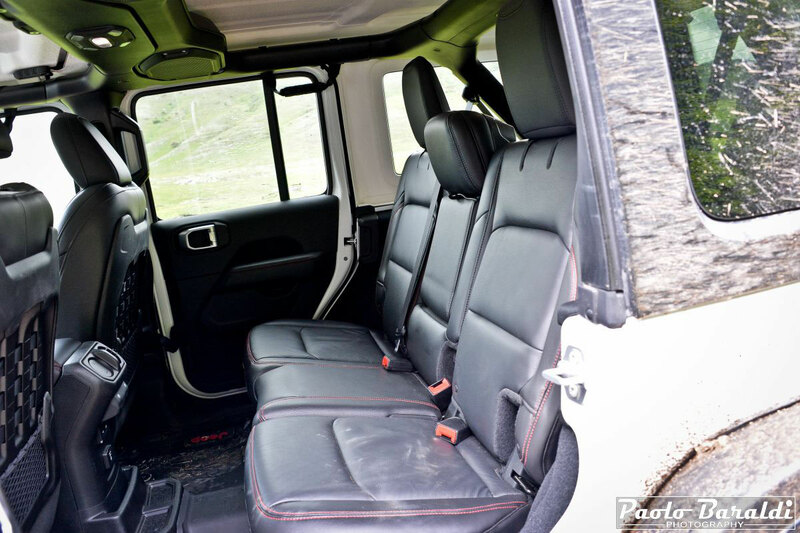 The JL confirms the very well drivable and at the same time well controllable even on the dirt road, where it is able to entertain a lot because it allows you to maintain high speeds. 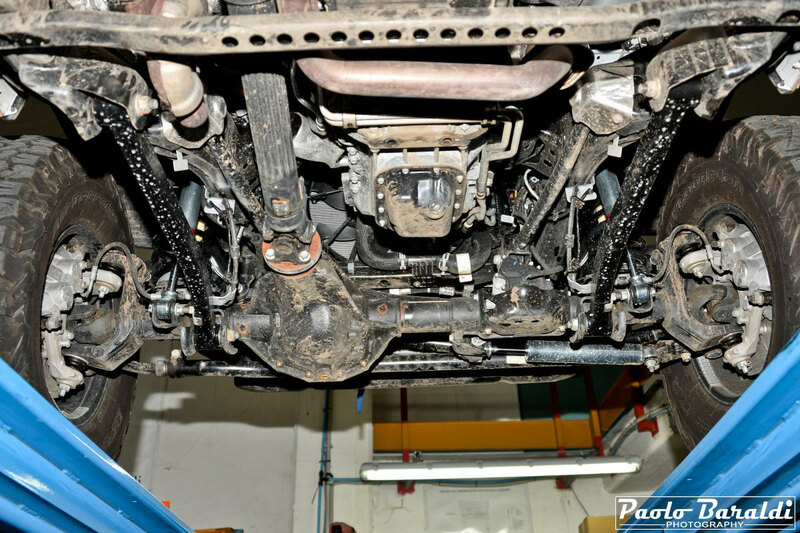 In more technical journeys, mobility is higher than JK, thanks above all to the better work done by the suspensions, which copy the terrain to perfection. 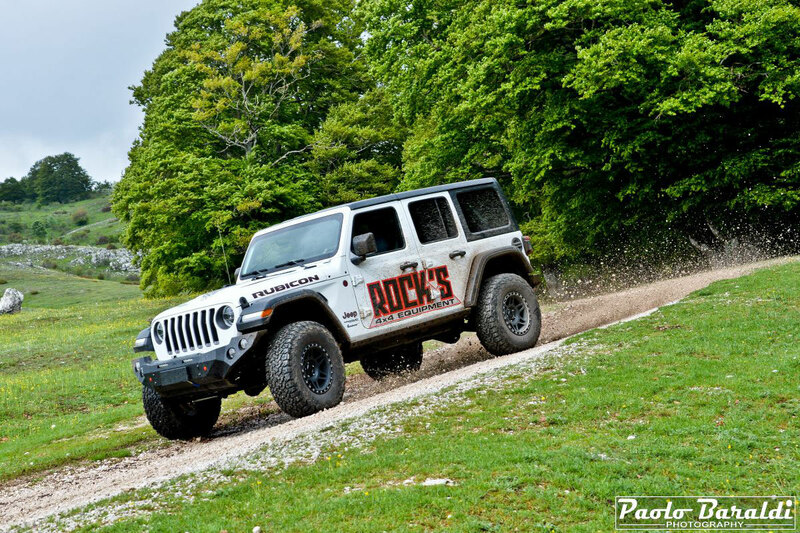 Obviously, in addition to the long axle excursion guaranteed by the Rock's 4x4 attitude, in these situations the standard equipment of the Rubicon version is of fundamental help, including the 4:1 gear reduction ratio, lockable front and rear differentials electrically and the electrically disconnectable front anti-roll bar. "Of course, the JL will also have weaknesses that we will discover," says Venturini, "as time will tell us how reliable it is". In any case, however, the JL Rubicon is confirmed as the most capable offroad vehicle, in stock configuration, today in production in the world. Jeep enthusiasts from all over the world demanded it with a loud voice, but with the fear of finding it "turned up". But we must take off our hat in the face of the counter-current choice of Jeep that has taken advantage of the experience accumulated by many trainers and users in the ten years of production of JK to propose a vehicle that is already able to deal with offroad challenging, and with a few non-invasive modifications, it works well in the hard. 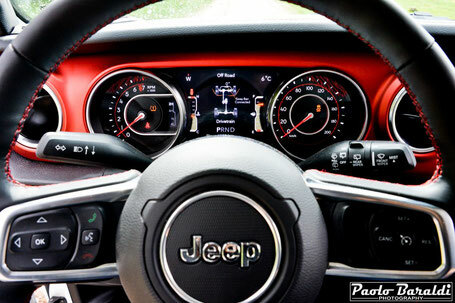 The 3.6 V6 VVT Pentastar engine, maximum power of 285 hp and a maximum torque of 352 Nm, already equipped the JK but here is characterized by a better power. In this example the engine is combined with an automatic 8-speed transmission 850RE Torqueflite (which in reality of the well-known Chrysler transmission only retains the name, since it is produced by ZF) and an improved version of the NV241OR transfer case. "The narrow crossbar drilled between the side members, under the gearbox, interferes with the transmission shaft and should be modified by positioning it slightly higher and backward to allow more movement to the shaft itself," says Venturini. Compared to the JK the front axle has been moved forward, increasing the 6 cm wheelbase on the Unlimited, whose wheelbase now measures 3 meters (the 3-door wheelbase, however, has increased by 3.6 cm, reaching 2,46 meters). 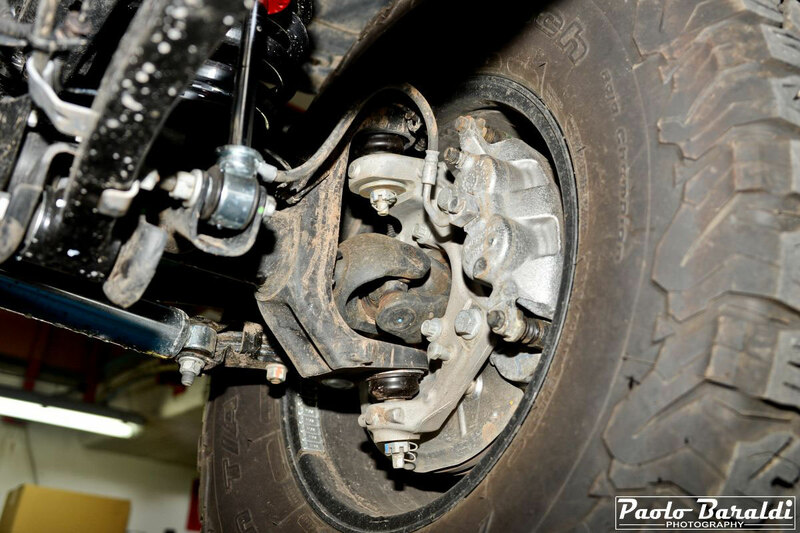 The front and rear axles keep the designation of Dana 44, but in reality they are new axles based on the new Advantek architecture of Dana (model M210 the front, M220 the rear), which does not have much in common with 44 of the JK, as these did not have much to share with the 44 of the TJ. The new JL axles are more robust and have different bevel gears (210 mm front, 220 mm rear on Rubicon) and thicker tubes. Moreover, they are wider: those of the Rubicon of 3.81 cm compared to the Sport and Sahara versions, and of 6.35 cm compared to the axles of the JK. 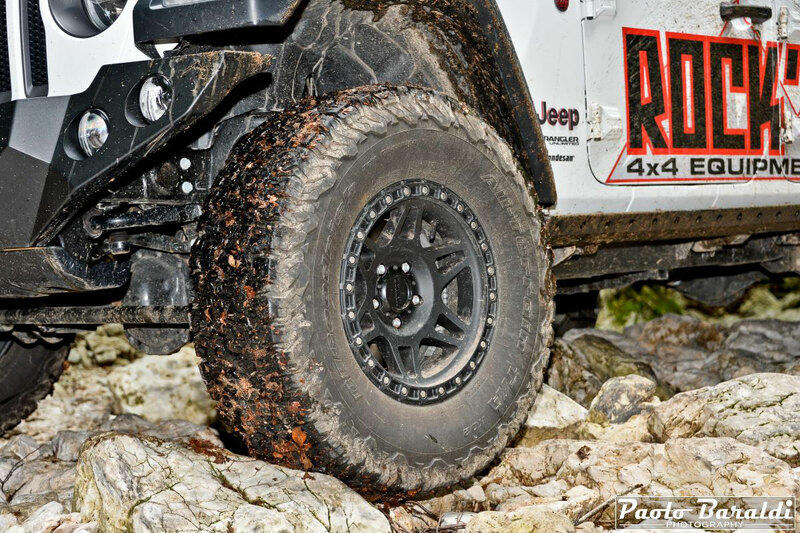 The Rubicon axles have 100% electrically lockable differentials. The front axle has really massive C, while the hubs are made of aluminum. 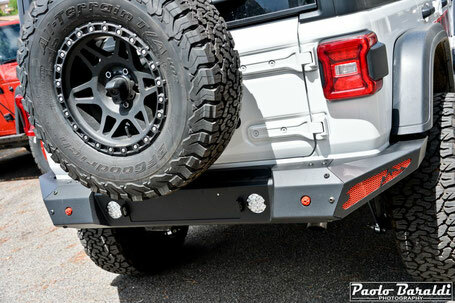 The new FAD (front-axle disconnect) system, which uses an electric motor to disconnect the right front axle from the differential when driving with only rear-wheel drive, is new to the JK. In this way, when driving with two drive wheels, the front drive shaft no longer rotates like on the JK, eliminating vibrations and reducing fuel consumption. 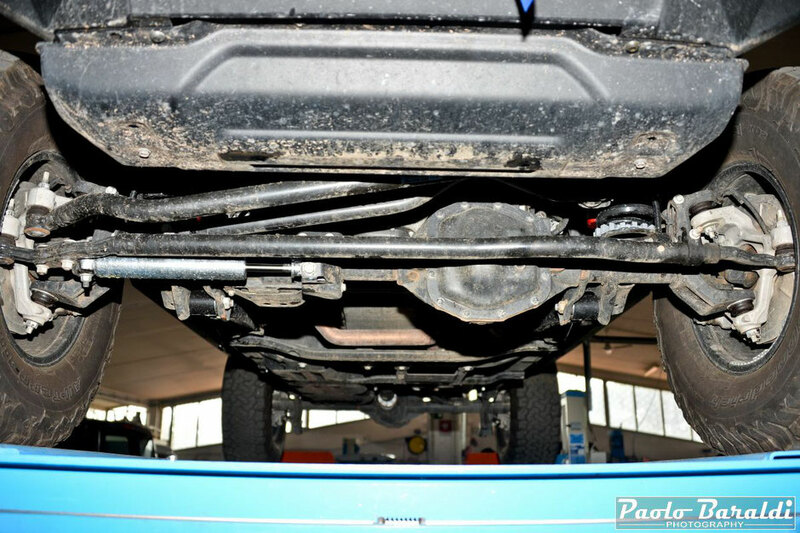 The frame, completely new, is similar to that of the JK in the front and completely different in the rear part, where it narrows to allow the new placement of the shock absorbers, now fixed outside. The 4-strut suspension scheme plus Panhard bar was retained, but the strut geometry was changed to achieve an anti-squat effect. In fact, the car body is more stable, with a much lower pitch tendency. Among other things, the release system of the front stabilizer bar has also been improved, which should be less fragile. Having raised the set-up, the Rock's 4x4 mounted a pair of longer lower links to restore the correct caster angle. The superior ones, however, are still the originals. 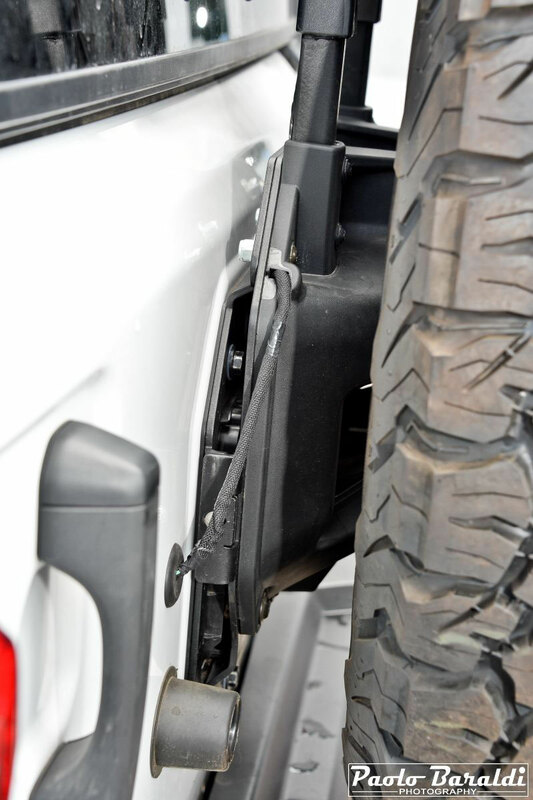 With a lift kit like this the rear arms do not need to be modified. To lift up the vehicle body of 2.5 "(about 6 cm) Mopar springs (waiting for Rock's start the production on its own) and Rock's gas shocks absorbers with fixed calibration, with offset brackets to make them work even better (the originals, during the maximum excursion, would touch the frame). Consequently, it was necessary to lengthen the bars of the stabilizer bars (the front ones of 10 cm, the rear ones of 3 cm). 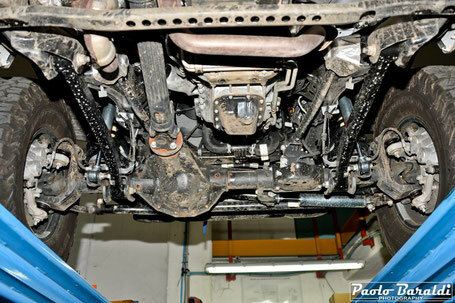 It is noteworthy that the shock absorbers of the JL are longer than the JK, and have the attacks all by eye. The rear shock absorbers, thanks to the position of the external connections to the frame, work in line, not obliquely as on the JK, to the advantage of the homogeneity of the progression. 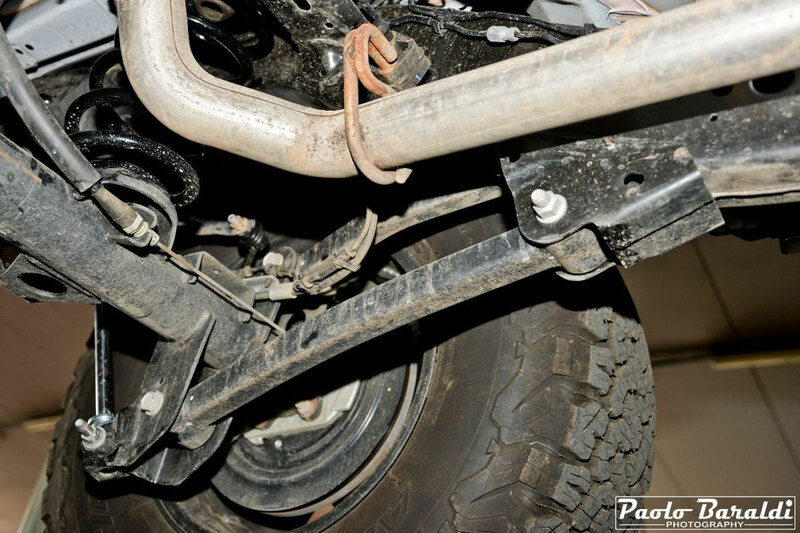 Among the interventions planned by Rock's there is also the reinforcement of the attacks on the bridge of the rear shock absorbers, which appear a bit weak. 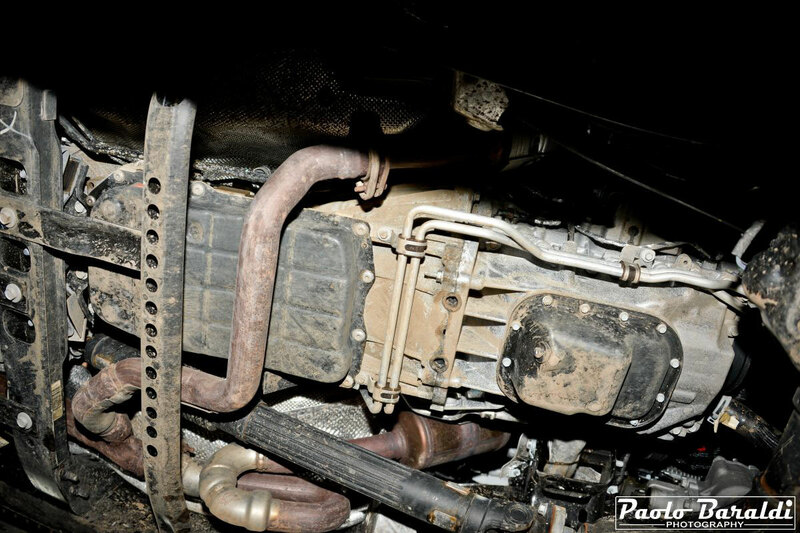 Among the parts from series there are also the Panhard bars, thanks to the fact that they work much more in line than on the JK, and the steering bar, also well positioned. 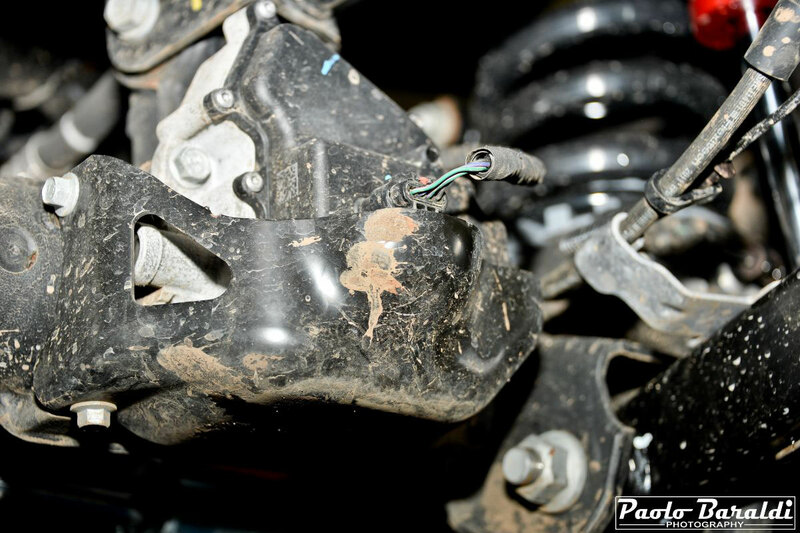 Rock's replaced the standard steering shock absorber with an increased one produced by they. "But that," he says, "is in a position quite exposed to shocks, so we will provide a relocator." On the JL the steering servo assistance is of an electrohydraulic type. Braking has been improved by adopting larger discs (front 12.9x1.1 "on Sahara and Rubicon, rear 13.4x0.55" on Rubicon) and larger front calipers with double piston. The BF Goodrich All Terrain KO2 tires measuring 315x70 R 17 on alloy rims Method 8.5x17 ET 0. 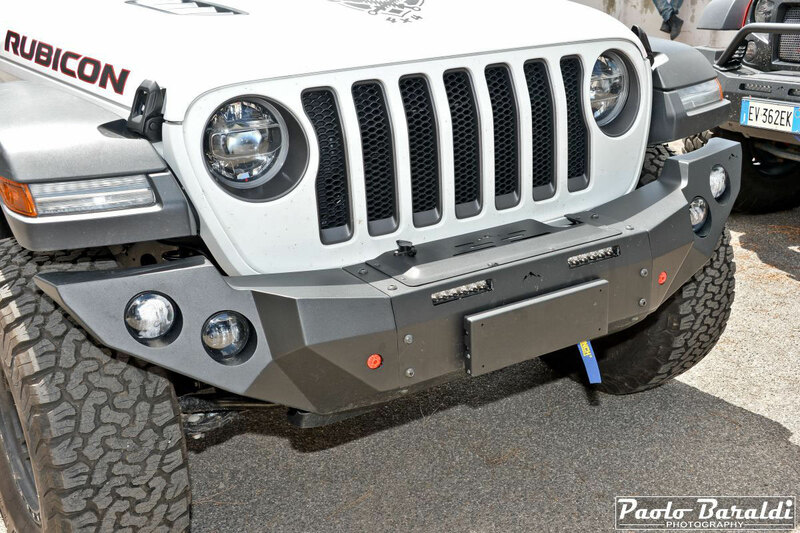 Both bumpers are the Stealth steel PBO high strength (the outer plates are 3 mm thick), similar to those that Rock's 4x4 has made for JK. The front bumper houses 6 additional LED headlamps, and behind it is a 9.5 Superwinch Talon. 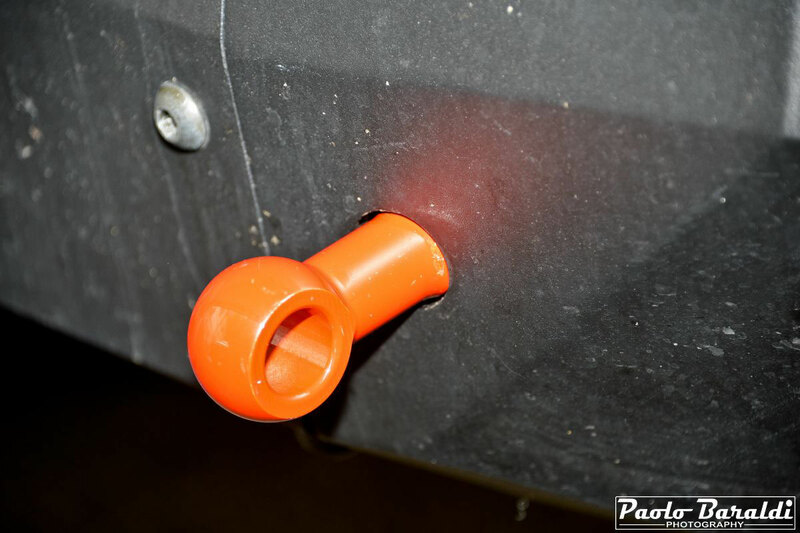 A liftable cover hides the mouth of the winch when not in use. 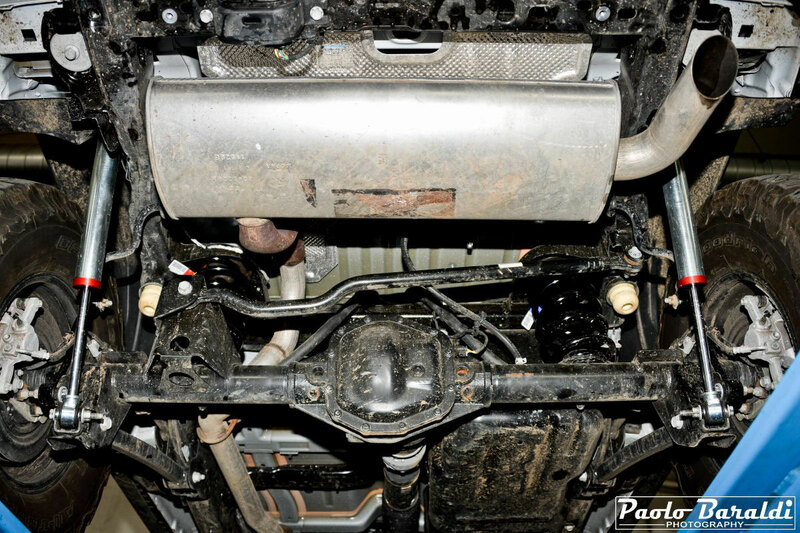 To reduce weight and consumption, some components such as the doors, the hinges, the bonnet, the mudguards and the windscreen frame are made of high-strength aluminum while other parts of the body, such as the tailgate, are made of magnesium. Improved bonnet stop hooks, which do not vibrate the bonnet at high speeds as on the JK, and the windshield is now easily reclining, no longer bolted. The headlights are all LED, so finally in the dark you have adequate light. Rock's 4x4 bumpers are designed to allow you to screw heavy-duty hooks (optional). In the photo on the right, the Rock's 4x4 steel sub-bars, bolted to the frame. 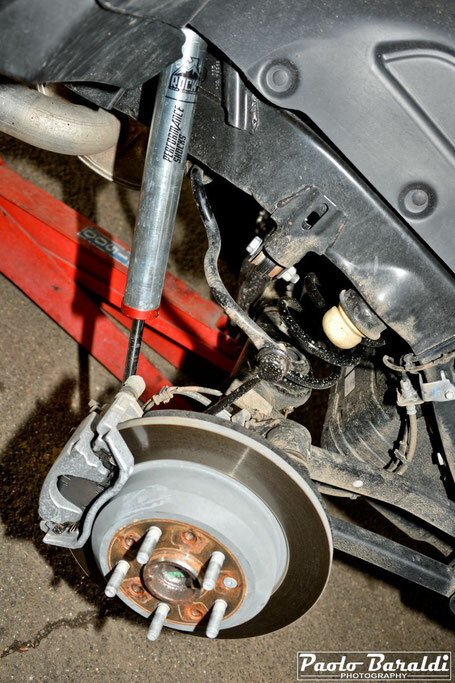 Increased tires require the installation of a spare wheel relocator. The new interior of the JL combines style, versatility, comfort and ergonomics. Good quality, robust and even washable materials were used throughout the cabin. The vertical plank has a sculpted and clean shape, and incorporates some elements of the "grand sister" Grand Cherokee. All (numerous) controls, charging sockets and connection hubs are grouped together in the center panel, so that they can be easily reached by the occupants of the front seats. It should be noted that the push-button start is now standard, and the engine can also be started remotely via the remote control. The instrument panel is equipped with an LED display where numerous information is displayed (there is also the inclinometer!). Another touch screen at the top of the dashboard houses the fourth generation Uconnect system. In addition, at the bottom there are 4 auxiliary housings (AUX) that allow you to easily add the buttons for as many options as headlights, winch or other. The front seats and the steering wheel are heated. Unlimited rear passengers now have more legroom available, thanks to a 6 cm step increase, and a better shaped sofa, with a more inclined and comfortable backrest. The Unlimited trunk has a much higher capacity than the JK.